Clarl Collier watches his ball as he takes his putt on the 18th green Saturday during the Westwood Invitational at the Westwood Golf Club. The tournament continiues today and will wrap up Monday. 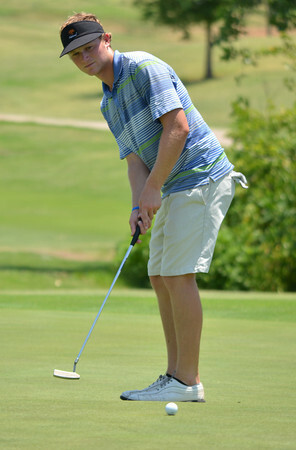 To see more photos from the tournament visit photos.normantranscript.com.